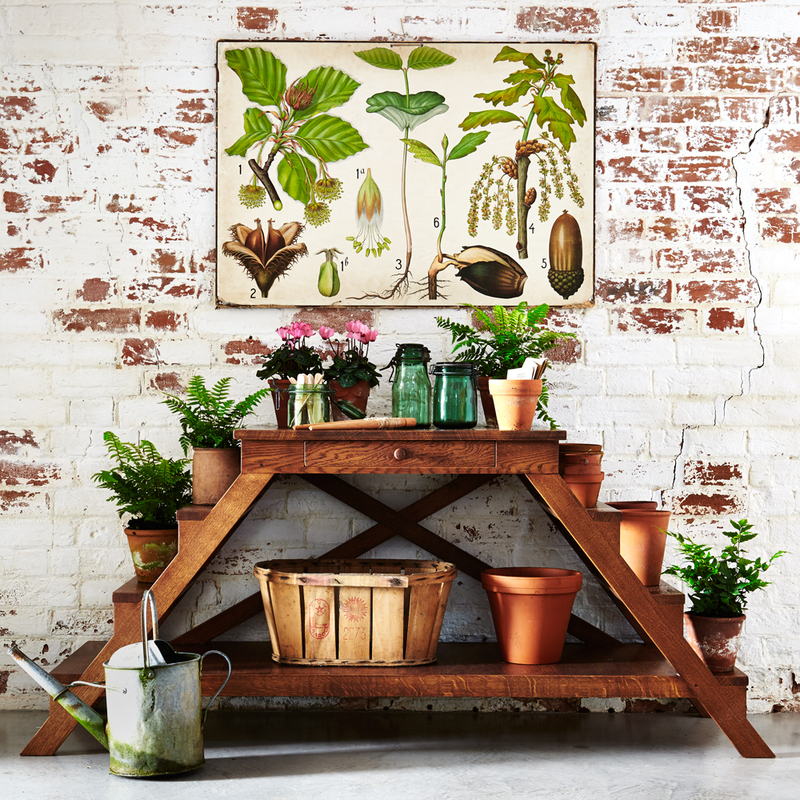 With Spring in the air, we’re delighted to launch the beautiful, hand made English oak Tavistock Conservatory Table. When the Dowager Duchess of Bedford wanted a piece of furniture made, she turned to us, as she has done for many years. And while we have more than 40,000 designs in our archive, a plant stand/conservatory table we did not have. So our design office worked with the Duchess until the “Tavistock” table was born. Hand-made from solid English oak with six deep steps for plants or objects, a pot board, and a roomy drawer, this piece of furniture can liven up and be useful anywhere it is placed.